Perfect for use while casting metals, using woodburning tools, soldering, grinding and any other task where hot materials, tools and debris present a working hazard. 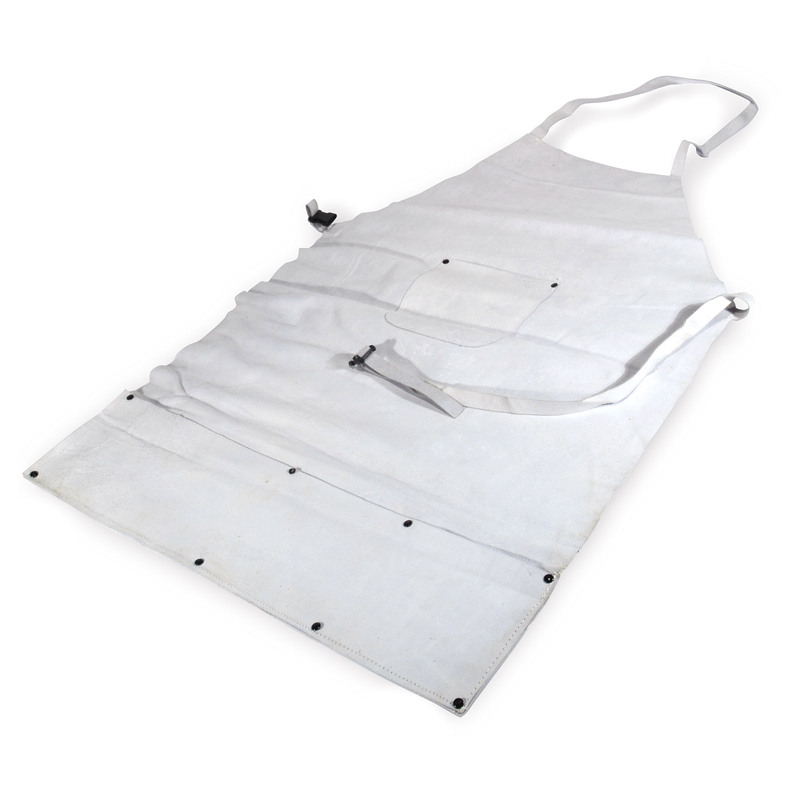 Heavy duty all-leather apron has 4 riveted pockets; 1 chest pocket for pens, markers, etc. and 3 across the bottom for everything else. Includes neck strap and 30" belt with adjustable plastic buckle. Apron is 35" long and 24" wide.